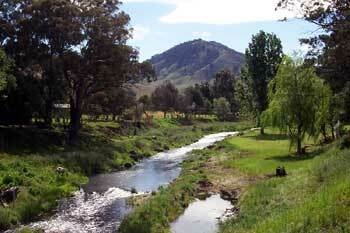 Swifts Creek is on the Great Alpine Road about 30kms from Omeo. Sited in the Tambo Valley and alongside the Tambo River the town enjoys great weather and scenery. 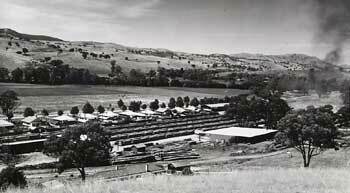 With around 300 people it is second in size in the region to Omeo (about 600). WW2. It is, at present, a pallet timber maker. Cattle and sheep grazing are the principal land use. major depot here that includes Vic Forests and DPI. Look out for the Great Alpine Gallery. The Community Centre is open weekdays and provides internet access for the public. Great Alpine Road to Swifts Creek and returning via the Cassilis Road, which is fully sealed. Or vica versa. The Cassilis Road has three tourist information boards which provide a good idea of what has taken place since European settlement. 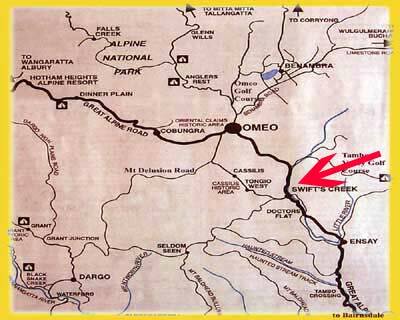 They are located at Swifts Creek, Tongio West and Cassilis. Top right, Tambo River at the caravan park.